The Missoula Osprey's charitable giving has surpassed the $2.5 million mark since the franchise relocated to Missoula back in 1999. Minor League Baseball is about having fun and bettering the quality of life for the community and the Osprey have done their part to give back to Missoula. "We value our role in the community and the opportunities we have to help Missoula become a better place," explained Osprey Executive Vice President Matt Ellis. "Our staff and sponsors have worked hard over the years to develop programs, relationships, and events that make a difference to our fans and fellow citizens." 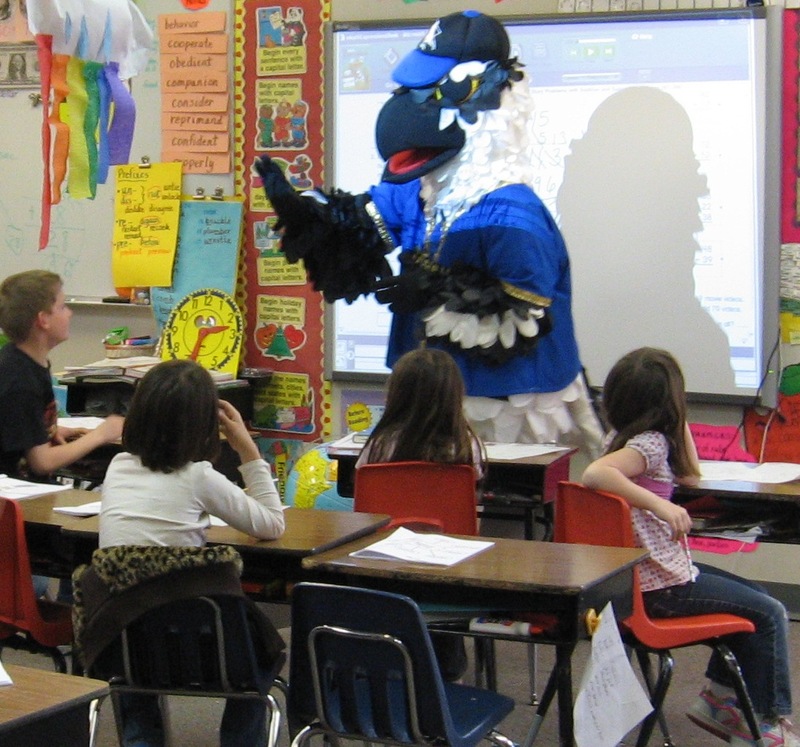 The longest-running and most well known community program the Osprey operate is the Hit the Books reading program that takes place each spring in Missoula-area elementary schools. Since 2004, more than 1,000,000 books have been read by over 90,000 participating students. Those students earned more than $1,200,000 worth of prizes in Osprey tickets and various other fun gifts! The Hit the Books reading program has been such a success that the Osprey were named the country's Top Short Season Minor League Operation in 2007 by Baseball America primarily for their efforts with the program. Community Corner: The Osprey donate 20 reserved tickets to each regular season home game to a local non-profit as part of its Community Corner program. The program works to recognize the impact that non-profits have in Missoula. The tickets can be used by volunteers, sponsors, staff, or those that benefit from the organization's efforts. Dugout Team: A similar program is the Dugout Team that honors youth sports in the Missoula area. It is open to any youth sports team that wishes to take part in this once-in-a-lifetime opportunity of being on the field with professional baseball players prior to each of the regular season home games. The Osprey also donate 20 reserved tickets for each game as part of this program. Each team gets introduced on the field prior to the game and the youngsters get to run with an Osprey player to their position during player introductions and stay on the field for the National Anthem. Fundraising Options: In addition to recognition programs that involve tickets, prizes and opportunities to meet players, the Osprey have also helped non-profit organizations raise money through ticket sales. The Osprey have a variety of ticket fundraising options available for local non-profits. Each group that participates in a game ticket fundraiser receives a portion of their sales back to help their organization. Those groups and other non-profits also sell 50/50 raffle tickets to the over 90,000 fans that attend Osprey games each summer. Donations: The Osprey have a long history of donating items to nearly every auction/fundraiser in the Missoula area. Typical items include tickets to games, autographed memorabilia and team merchandise. Staff Volunteerism: The Osprey staff is also required to get involved in community non-profits through volunteerism. It is not uncommon for staff members to be on multiple non-profit boards at one time and they are given the time during work hours to dedicate to such service. "We make it part of their job description to be involved," said Ellis. "About twice a year during a staff meeting we challenge staff to list all of their non-profit work. They must get involved to work for us. We expect them to realize the opportunities they have to improve the quality of life in Missoula through baseball. To their credit, they are succeeding!" For more information on fundraising with the help of the Osprey, please call (406) 543-3300.